Of the many things that I am enjoying about being back in class are the doors that are opening in the way of knowledge. With a client asking information of me, one of my first resources is our instructor. In my last message to her I was inquiring about her knowledge of krill oil. Her reply was “again a challenging question”. I guess I’ve had a couple of those over the last month. Needless to say there is learning on several levels. For those of you who have moved past the concern about Vit D and are supplementing at optimal levels with a Pharmaceutical Grade Vit D, you may be looking at adding fish oils to your health regime, given their excellent benefits. The question you may be asking is; do I supplement with krill or fish oil. B) What is Health Canada’s position about krill oil. And about 40% better absorbed after 8 weeks. Contains a strong antioxidant astaxanthin which acts as an anti-rancidity (antioxidant) agent, but only if it is present in very high quantities. But the astaxanthin level is usually too low to protect krill oil from turning rancid. Cost– it is more expensive because krill is caught in Antarctica, near the South Pole. Unlike fish, Krill must be caught and processed immediately on the ship, or else it will go rancid. This process is very expensive. The harvest season is only a couple of months every year. Resulting in a low capacity to process and purify oil. Effective dosage – one of the most popular krill oils used, costs $108 a month to receive optimal benefits. 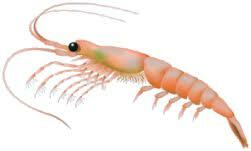 Buyer Beware – krill oils from strange places may be marketed as krill oil but contain no krill oil. They could be regular old fish oil with red algae extract for color and some soy bean phospholipids added to fool the Quality Control labs. On Oct. 1, 2010, ConsumerLab.com published its regular review of fish oils. This time, they added a few krill oils to their test. Krill oil is 1.5X times better than fish oil. Krill oil is 10X more expensive than fish oil (on an Omega-3 basis.) You have to pay between 7 and 11 times more for the same amount of Omega-3 from krill oil. As you can see there are mixed research findings regarding krill oil, while there are many benefits, it has many deterrents. For the time being I am sticking to my Pharmaceutical Grade fish oil. Wishing you a wonderfully wellness day until the next time when we’ll talk about Pharmaceutical Grade, what it is and why it matters. For now, based on purity, potency, concentration, availability, and cost, using fish oil as the omega-3 source in BiOmega is a much better choice for us.